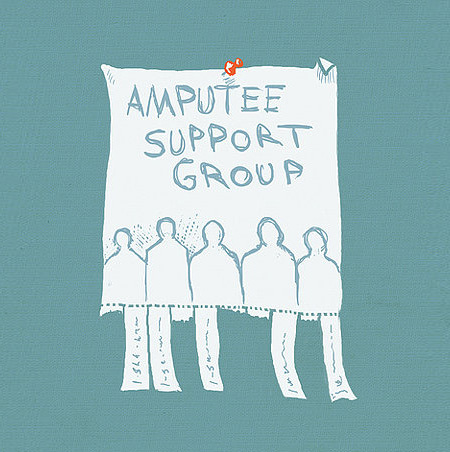 According to Susan Tipton, national peer network coordinator for the Amputee Coalition of America (ACA), there are about 260 support groups for amputees across the United States. The article seems to state that it is very likely that a new amputee would have support set up by the hospital or some other group out there. I can tell you that for me this was not the case. This was partly my fault. The decision to amputate was made fairly quickly. My infection had progressed to the point that my life depended on a quick decision. I did not do a lot of research and had not touched base with any amputee group in the area. It wasn't until several weeks post surgery that I even looked for anyone. 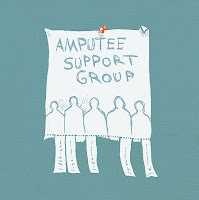 If you do a web search on where to find support, you will find the first (and one of the only) sources of information to be the Amputee Coalition website. Searching on there the closest support group was one in Tulsa Oklahoma (100 miles west of us) or Little Rock (200 miles east) I was surprised that there were no groups closer. Northwestern Arkansas is the home of the retail giant Walmart, as well at Tyson Foods and J.B. Hunt Transportation. There are a quarter million people living within 50 miles of where I live. So far the only support was there has been from my prosthetist, He is a great guy with a ton of experience, but really has no first hand knowledge of how it feels to be an amputee. It is hard to explain to people that have both legs. Short of duct taping their legs together for a week, I don't think that anyone could really get the FINALITY of losing a limb. Yes, I put on a prosthesis to walk, but I have to put it on. I tend to leave mine on 99% of the time I am awake. I seldom remove it for anything other than to adjust the sock levels or straighten out a wrinkle. The point of this post isn't to complain, but to possibly inspire amputees to become peer counselors and to pay forward the things we have not had. I suspect that there are quite a few amputees out there that have not had any peer counseling whatsoever. With almost 3 million amputees in America alone, we have the base to make a huge difference. 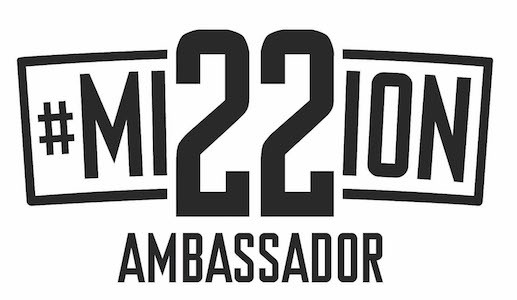 With spokes-people like Josh Sundquist and Adrianne Haslet, the support of great publications like Amplitude Magazine and In Motion Magazine and our drive to make the amputee world a better place - We can make a big difference.